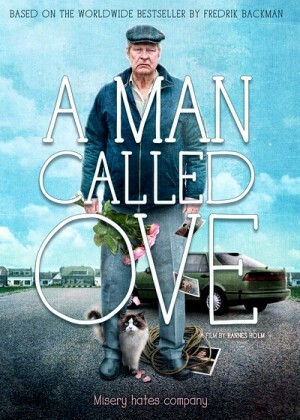 Ove is a lonely man living on a quiet block, someone who abides by the rules and expects others to as well. He has worked at the same rail yard for years, visits his wife's grave every day, and spends his free time checking garage locks, rattling chains, and screaming at motorists who dare to use the bike-only paths. Ove is unhappy, and his temper is only going to get worse after he is forced into retirement by the hated whiteshirts of his company, a group of young, snide, pencil-pushers who think they control the world. At the end of his rope figuratively, Ove decides to make it literal and hang himself, hastening the end and allowing him to be with his beloved wife Sonja once again. But sometimes even your own death doesn't go as planned. Saying good-bye to his wife’s picture, he steps on a stool and puts the noose around his neck. Just as he is about to kick the stool from his feet, he sees out the window as a car with a trailer is attempting very poorly to back up, destroying his mailbox. He takes the noose off and heads angrily outside, to confront a family of four who are moving into the neighborhood. Little does Ove know how much his new neighbors will have an effect on him and even more shockingly, how much he will affect his new neighbors. 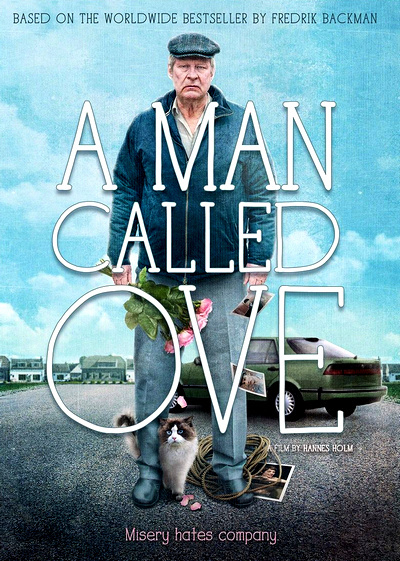 -- The Ove in Us All: A Talk with Hannes Holm, Rolf Lassgard and Bahar Pars (14:29) is an enjoyable set of interviews that are used interstitially between scenes from the film. -- Director and Cast Q&A at Scandinavia House NYC (21:03) is another interesting conversation with Holm, Lassgard and Pars, conducted in September 2016 and moderated by the Wall Street Journal's John Anderson.